Despite the computing prowess of smartphones, the one thing that fast-paced technology has not been able to solve up till now, is how to extend the device’s battery backup time. While hardware components stuffed inside smartphones are evolving rapidly, the same thing cannot be said about battery tech. However, Innos D6000 features an engineering method that companies like Samsung and Apple should be taking notes from. While all the flagship devices you see are incorporated with a single battery, D6000 brings a whole new approach to the table and features two batteries, which mount to a whopping 6,000 mAh capacity. According to GSMDome, Innos D6000 was showcased at the Mobile World Congress event sporting one non-removable 2,480 mAh battery and a removable 3,520 mAh cell, making the grand total come up to a 6,000 mAh juice box. 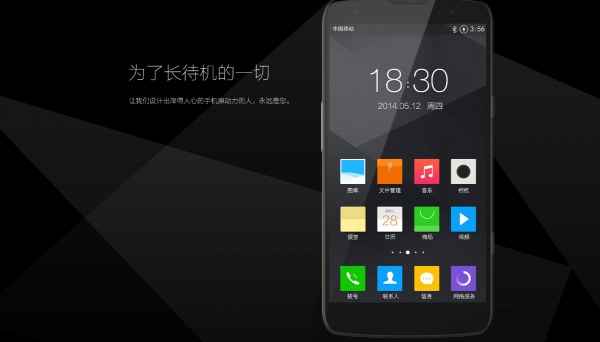 Now, pricing details have been revealed that the smartphone will be available to purchase in China for $290. As for the hardware specifications, D6000 is incorporated with a Snapdragon 615 SoC, 3 GB of RAM and a 1080p resolution that is being rendered behind a 5.2 inch screen size. Following in the same footsteps as MacBook Air 2015, D6000 is going to sport a Type-C USB port for charging and data transferring purposes. 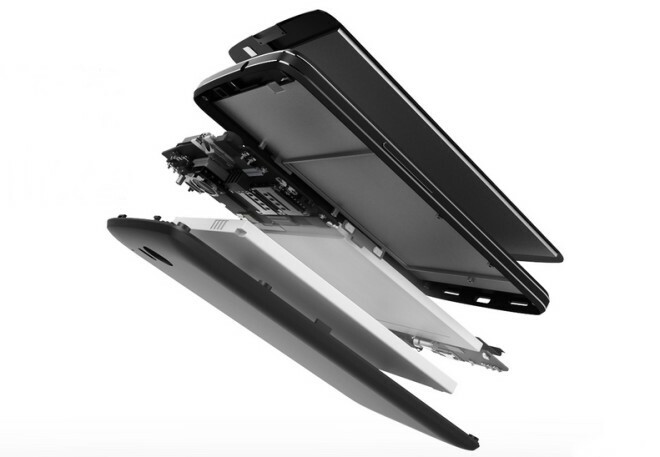 Additionally, there is also an LTE modem present inside its housing, with enough space to accommodate two SIM cards, and a 16 megapixel rear camera sensor that has been manufactured by OmniVision. A 5 megapixel front camera will complement the primary one, while 32 GB of expandable on-board storage allows sufficient amount of space. While the handset boasts impressive hardware specifications, the highlight of owning Innos D6000 is definitely the company’s clever engineering approach. Keeping the smartphone consumers’ requirement in mind, the company decided to stuff in two batteries that will provide up to 60 days of stand-by time, coupled with a 3-5 days of battery life with continuous usage. 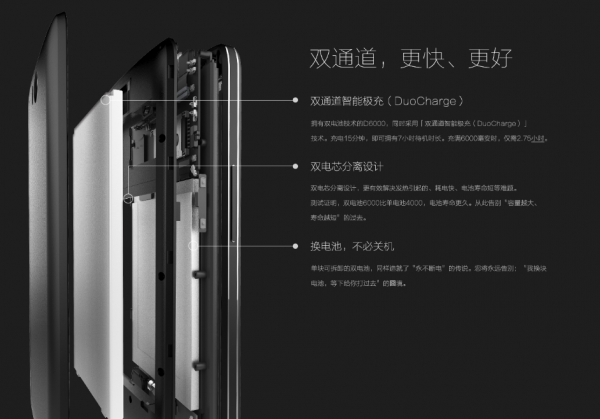 Critics will most likely dismiss this approach as being unfriendly towards hardware components in terms of heat generation but it is stated that a dual-channel intelligent charging solution called DuoCharge has been employed. Without going in to too many details, this particular tech reduces overall heat generation and prolongs the life of both components and batteries. While the addition of Snapdragon 615 left us fairly disappointed, we have to say that the company makes it up a long way by incorporating two batteries. Even better, the price tag is quite affordable too. Now, if only smartphone titans like Samsung and Apple would follow the same approach; that would be great.